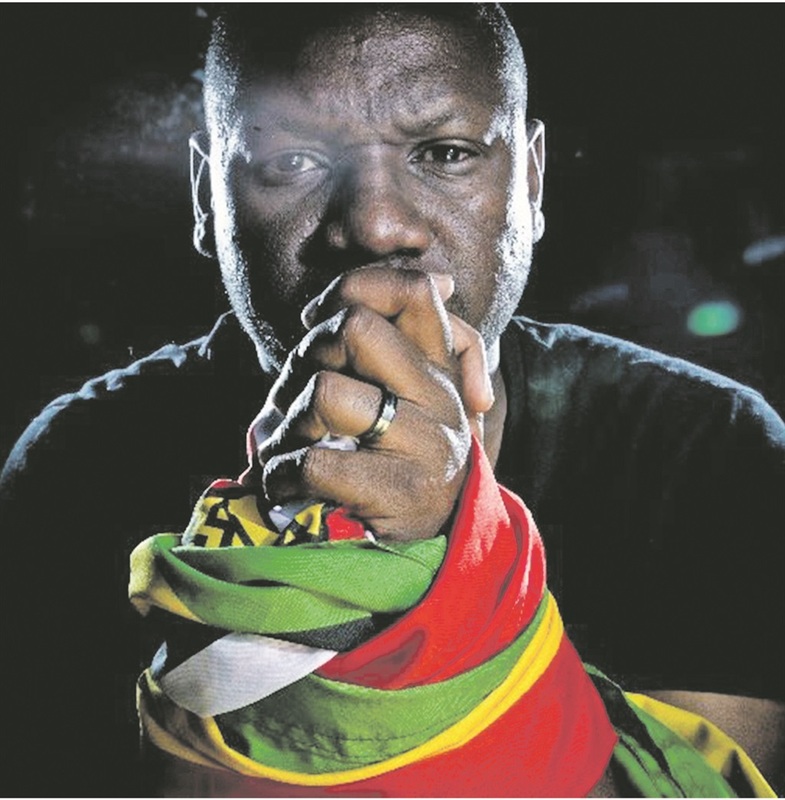 When Evan Mawarire was locked in a small, dank cell in Zimbabwe’s notorious Chikurubi Maximum Security Prison, there was a brief moment when he just wanted out. Now, the 41-year-old pastor-turned-activist has taken another leap of faith by running for a local government position in Zimbabwe’s upcoming crunch elections. In April 2016, Mawarire, previously little-known beyond his modest church congregation, had unwittingly been thrust to the forefront of social activism in Zimbabwe after he recorded an impassioned video on his cellphone lamenting a broken country and calling for change. The video went viral and inspired the #ThisFlag movement on social media, which subsequently sparked mass anti-government protests across Zimbabwe and led to Mawarire’s arrest on trumped-up treason charges in May 2016. In November 2017, an increasingly beleaguered Robert Mugabe was ousted by the Zimbabwean military after 37 years in power. A week later, Mawarire was finally acquitted on charges of trying to overthrow the state after 17 months of arbitrary arrests and detention, threats and intimidation, and a spell of exile in the US. The emotional toll of Mawarire’s tumultuous journey was evident when he delivered an address at the recent Oslo Freedom Forum conference in Johannesburg, South Africa, organized by the Human Rights Foundation. Mawarire broke down in tears when a photo of his wife and children was projected onto the screen behind him. He has not seen his family for 14 months — they remain in the US for security reasons. But for now, Mawarire says he wants to be “on the ground where I believe it matters most.” His first foray into the political realm sees him running for a local ward councilor position in the Mount Pleasant District of Harare, his hometown. More municipal schools, improved access to water and free Wi-Fi access are high on his agenda. Mawarire has also formed a coalition of other independent political candidates, called the People’s Own Voice (POVO), all of whom will be running for local government positions in Harare. Mawarire is among a number of younger figures to enter the political fray in the wake of 94-year-old Mugabe’s forced departure. Fadzayi Mahere, a 32-year-old advocate, is running as an independent candidate for the Mount Pleasant parliamentary seat. In February, 40-year-old Nelson Chamisa took over the reins of the MDC-T after the opposition party’s stalwart leader Morgan Tsvangirai succumbed to cancer. This influx of new faces provides a welcome change in a country where leadership has “often been conflated with old age,” according to Ottilia Anna Maunganidze, a Zimbabwean-born international analyst working at the Institute for Security Studies in South Africa. “Zimbabwe is a very young country. The vast majority of voters in the election are going to be under 40, which means hopefully younger candidates stand a chance,” she said. However, at the national level there are lingering concerns that Zanu-PF, the ruling party, would be reluctant to cede power and could attempt to rig the elections. Emmerson Mnangagwa, the 75-year-old former vice president who took over from Mugabe in November, is certainly more pragmatic than his predecessor — as part of a concerted bid to court the international community, he has repeatedly asserted that he would step down if Zanu-PF loses. But Mawarire cautions that recent history does not set a promising precedent. However, the events of the past two years have instilled a cautious optimism in Mawarire. “Zimbabweans showed the courage to stand up against Robert Mugabe. I think that that momentum or the residual effect of those activities remains with us,” he said. With regards to Mawarire’s own political trajectory, Maunganidze told PRI that she has concerns about the growing global tendency to elevate populist figures with scant political experience.